Directions: The Basilica Cistern is located opposite the Hagia Sophia museum and is across the SultanAhmet square. A 10-20 minute walk from most tourist hotels in Istanbul or can be accessed by metro. It is very easy to miss the cistern as the entrance is very unassuming. 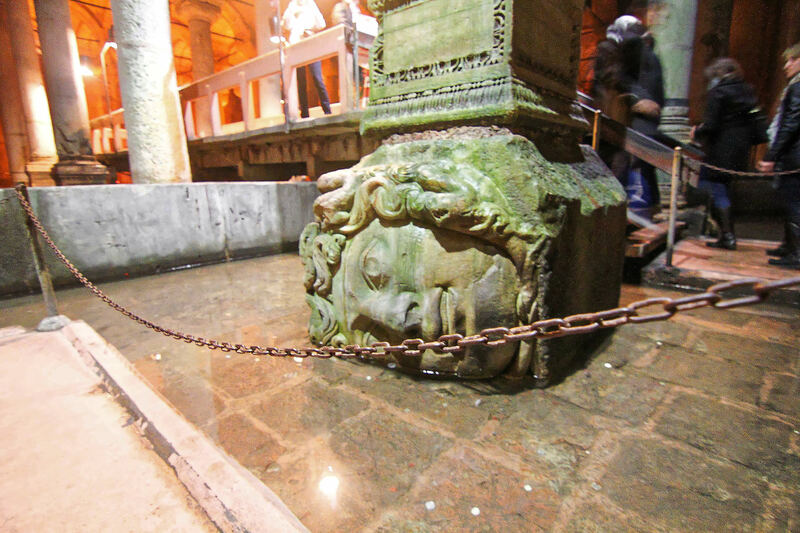 But it would be a great loss leaving Istanbul, without visiting the cistern. 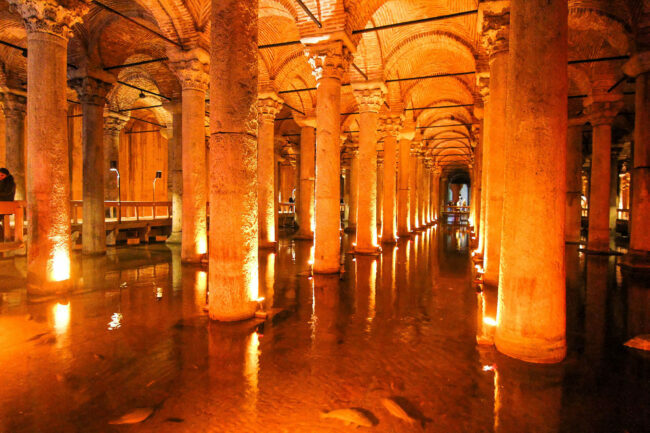 Build almost 1600 years ago, the massive underground cistern was used to store water for the city. The columns were brought in from all over the empire. A thread of walkways assist visitors to access the deepest parts of the cistern. A tripod, remote shutter and fast lenses are critical, as the cistern is very dimly lit. Also good grippy shoes are needed as the floors can get quite slippery. Also make sure to keep your camera covered at all times as the water is constantly dripping from the ceiling!